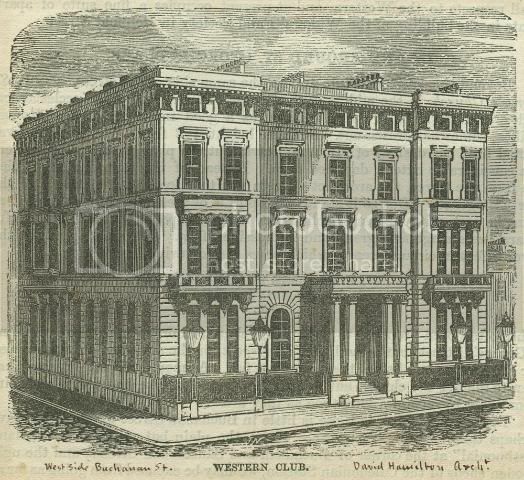 The Western Club was founded as the Badger Club in 1825 by a Major Monteith, to provide good, cheap food and wine for its members. Over the years it merged with the Junior Club, the New Club, and the Kelvin Club, and became the adopted home of the RNVR Club (Scotland). 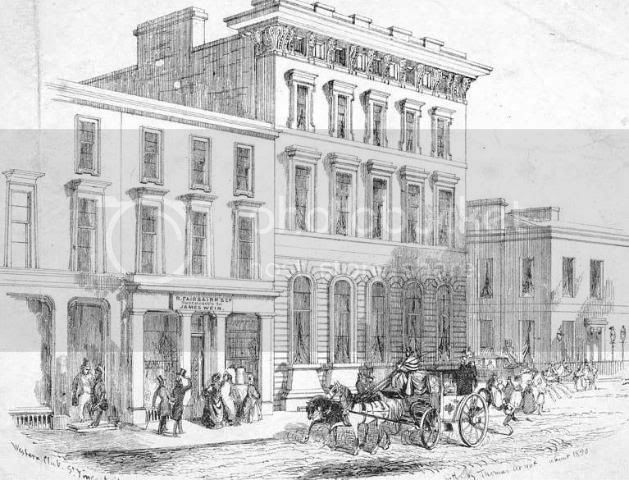 In 1842 the Western Club moved to 147 Buchanan Street. The new building was designed by David and James Hamilton. Inside there was a large hall with Corinthian columns and a coffered ceiling, a double staircase led to the upper floors and all the main rooms had marble fireplaces. 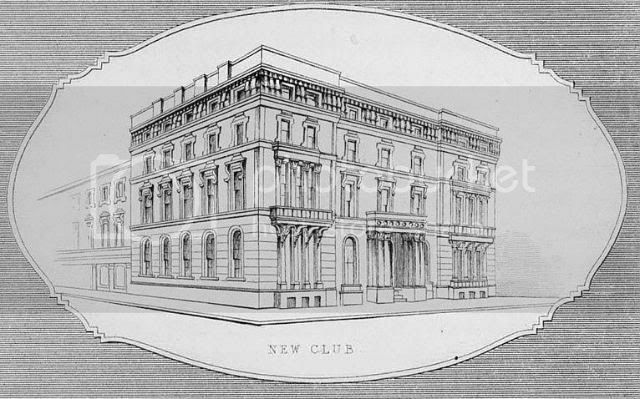 This 1850 view shows the New Club, which was actually the new premises for the Western Club. This 1850 sketch from from ‘Views and Notices of Glasgow in Former Times’ shows the Western Club from St. Vincent Street. The adjoining tenements have been converted to shops by this time. 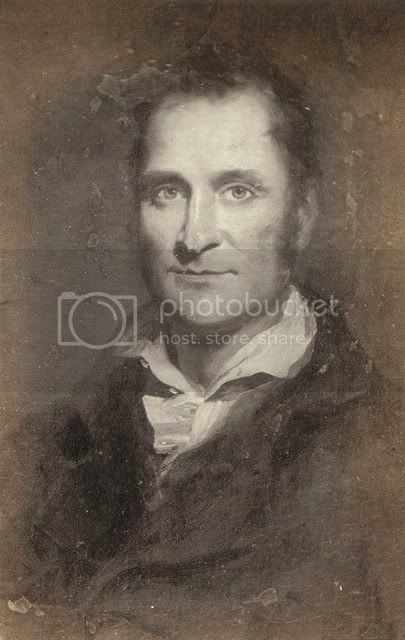 A Thomas Annan photograph of a portrait of David Hamilton (1768-1843). The painting was by Saxon. Glasgow-born Hamilton was an apprentice to a stonemason before becoming an architect. Famous for designing some of Scotland's most famous country houses he was also responsible for many of Glasgow's greatest buildings and landmarks, including Hutchesons' Hall (1802); the Nelson Monument (1806); Gorbals Parish Church; the Royal Exchange (1829 - which became the home of the Gallery of Modern Art); the Union Bank in Ingram Street (1841 - it became the Corinthian night club and restaurant complex) and the Western Club in Buchanan Street (1841). This is a highly original palazzo, particularly the attic storey with its small square windows separated by consoles, and its huge cornice, the line of which was continued by John Burnet's adjacent Stock Exchange building. The two end sections of the building are slightly prominent and have carved stone balconies, and the building is entered through a central porch with square Corinthian pillars. The Club was rebuilt internally in 1968 for offices, and its hall, grand staircase and large public rooms have disappeared. Buchanan Street has become a prime retail location, and the building is now a shop. 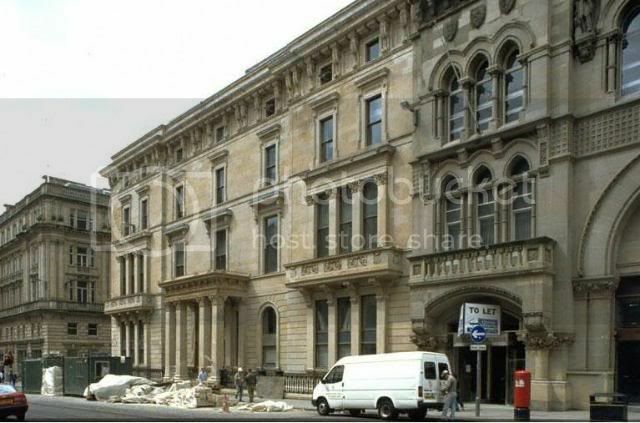 Following the refurbishment of the Buchanan Street building in 1968 the Western Club moved to premises in 32 Royal Exchange Square. On Oct. 11, 2006 Apple filed paperwork to renovate the building at 147 Buchanan Street at the corner of St. Vincent St., in the middle of the district. The 3-story bulding was designed by architect David Hamilton in 1841 as the Western Club (although just two walls of the original building remain after earlier retail renovations). It was most recently occupied by The Pier, a home furnishings store. It's considered a Category A historic building, meaning it's "national or international importance, either architectural or historic, or fine little-altered examples of some particular period, style or building type." The proposed renovations include removing the mezzanine level, installing a second floor, a spiral glass staircase, stainless steel interior walls, and second-level Genius/Studio bars. The plans don't include a theater, but make use of the basement for storage. Total cost £1,168,000 ($2.2 million). Interior renovations approved by city officials on Jan. 23 ,2007. Construction started in February, 2007, with a grand opening in July, 2007. It would be the first store in Scotland, and geographically the furthest-north store in the chain. Founded in 1898 at 42 George Sq. Candidates had to be nominated by two members & election was by general ballot. Subscription was £2 12s 6d & the entrance fee was 3 guineas , Wives & daughters of officers holding commissions in the army & navy were admitted as temporary members without entrance fee. In 1901 the president was Mrs. J.G.A. Baird & the secretary was Miss Mary Stewart Wright. There were 400 members. It was still active in 1909. The Kelvin Ladies Club was founded in 1897 when seven ladies met in the North British Railway Hotel in Queen Street, Glasgow, Scotland. The first president of the club was Mrs J G A Baird, followed by Lady Kelvin in 1907. By 1898 there were 297 members. 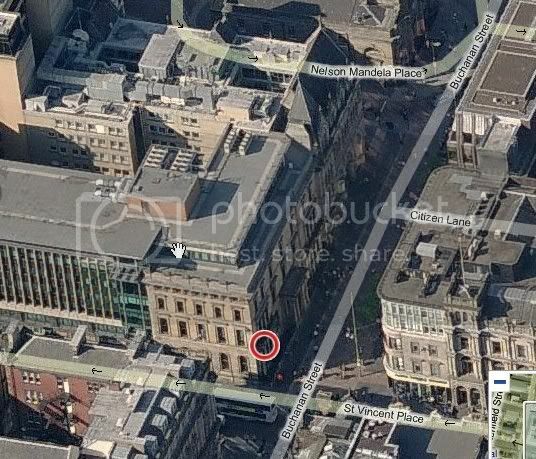 The club was originally situated in 49 Buchanan Street, and then moved premises to Royal Exchange Square in 1922. In 1970 the Kelvin Club amalgamated with the Western Club, founded in 1825, and continues to provide members with a place to relax and socialise. Thanks for this, HH. The current Western Club, at 32 Royal Exchange Square, can be read about here: http://www.westernclub.co.uk. The club secretary is happy to show prospective members round the premises. Brilliant HH.Bit concerned they dont give you membership costs though. floweredpig wrote: Brilliant HH.Bit concerned they dont give you membership costs though. floweredpig wrote: Last club i joined i had to eat a worm for membership. I'm getting Chimmy Chungas flashbacks now. I wonder what happened to the brass plaque that they used to inscribe the invertebrate-munchers names on? 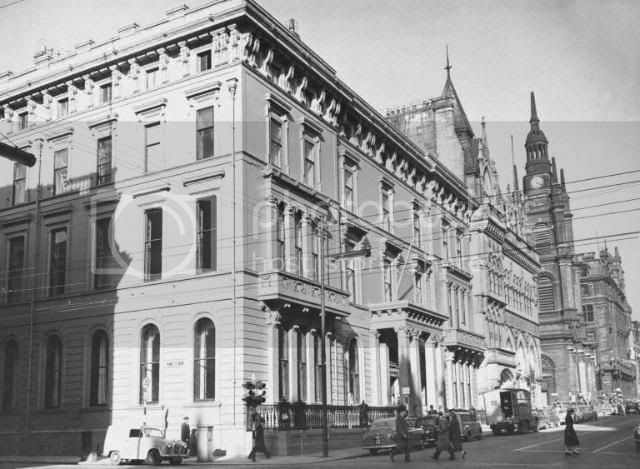 By this time the Western club, at the corner of Buchanan Street & St. Vincent Street, had come into being. At the moment of writing it stands at the north-west corner, but until 1841 it was on the opposite side of the street to the south-west. The Western Club, Glasgow’s oldest existing sodality with a habitation, has sold its premises and is to move into Royal Exchange Square. Many people are sad about this, particularly those who remember the days when one Western clubman approached another who was standing looking out of the big windows into St. Vincent Street. 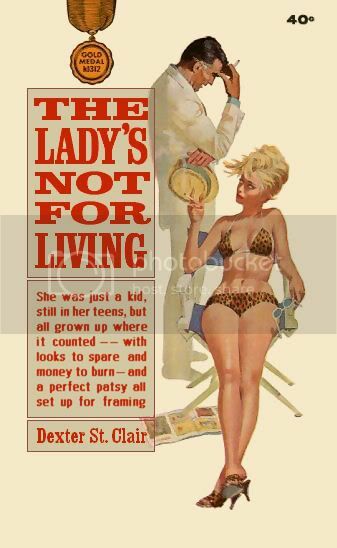 “What are you doing, Alan?’ ‘Just watching the rain falling on the damm’ people’ was the reply.